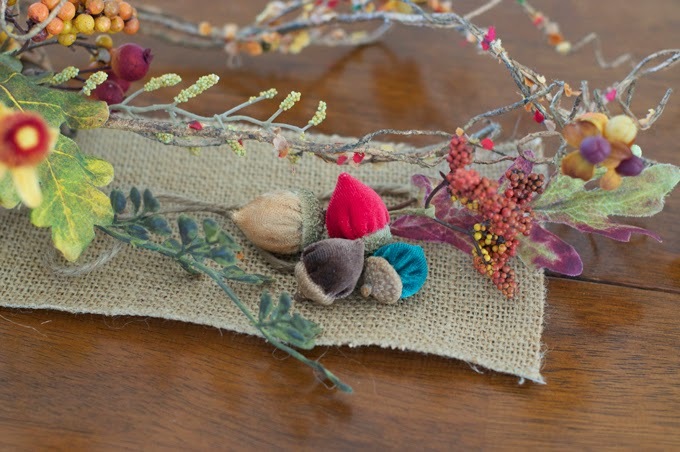 This post is going to be photo heavy, but I wanted to share step by step instructions on creating these darling little velvet acorns for your fall decorations! I first saw these last year and though what a darling little idea. Something to decorate for fall in addition to pumpkins. I love pumpkins. But these are cute! Super cute. And believe it or not , not overly hard to make. I would rate these as a skill level of medium. Only because there are so many steps, but they are truly worth making! Start by gathering acorn caps of various sizes. I went to a park and walked around to find different varieties of oak trees. 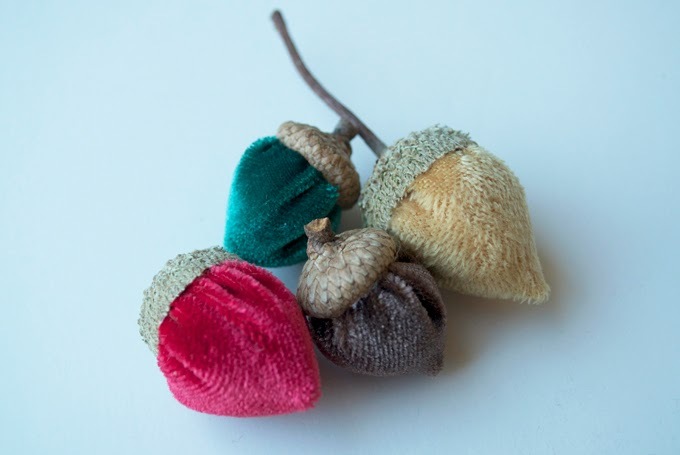 You can actually order acorns and caps on Etsy! I guess I never really paid that much attention to the caps of acorn trees, but there is a big difference! 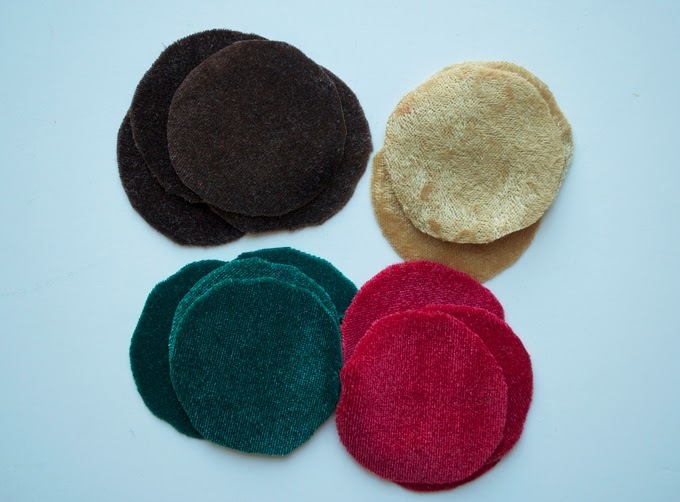 I went to Joann's to select velvet for my acorns to find A) its expensive, B) there was not a large selection of colors available and C) velveteen works just as well. So buy velveteen. 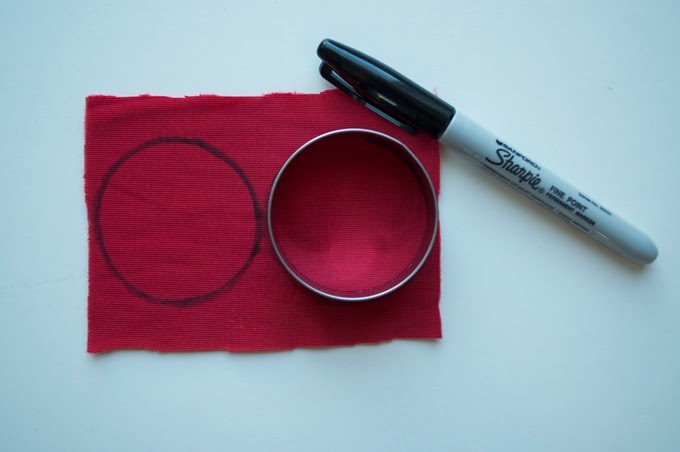 Trace around your ring on the back side of your fabric. Once you have all your circles drawn, cut them out. 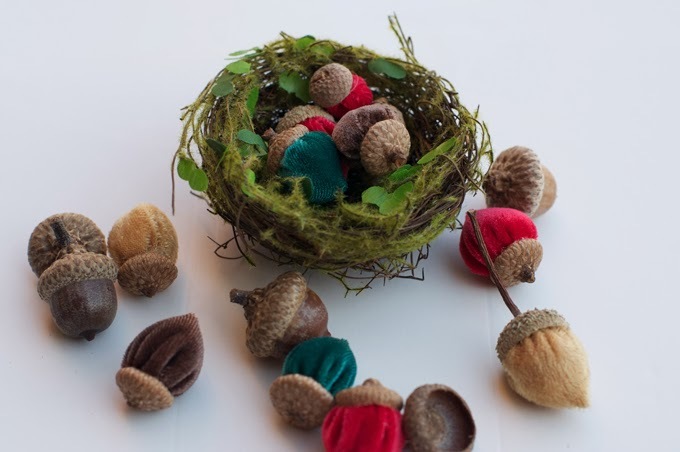 If you have a few smaller acorn caps, you might want to cut inside of the circle to make it slightly smaller. Next, whip stitch around the edge of your cut circles. No knot is necessary as you will knot the ends when you draw the thread tight. Be sure to leave enough tail to pull the ends together. 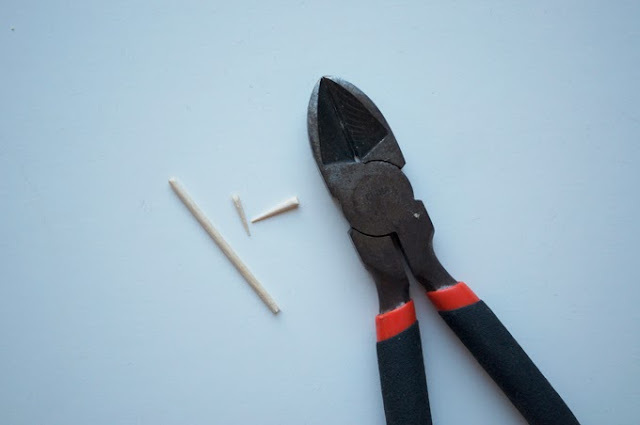 Go ahead and cut off both the sharp ends on the toothpicks so they will be ready for this step. I suggest cutting them outside and make sure to be careful for flying ends. I like to do all of one stage at a time, rather than build one acorn at a time, but you make your little nuts any way you like! 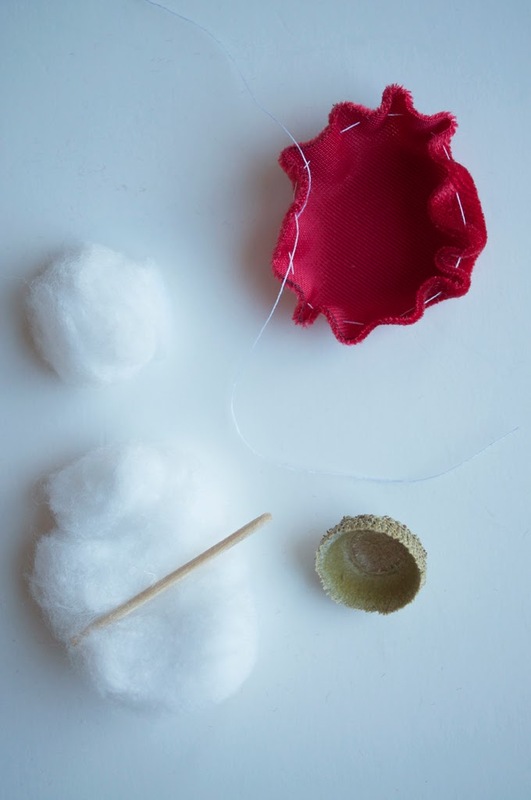 Now, depending on the size of your cotton balls, you will want to pull some of the cotton off to make the "ball" slightly smaller. 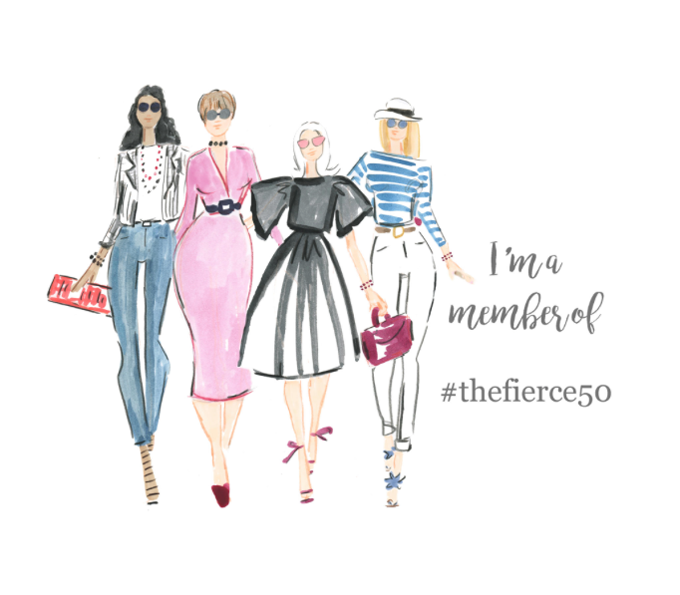 You will have to just gage this by sight. 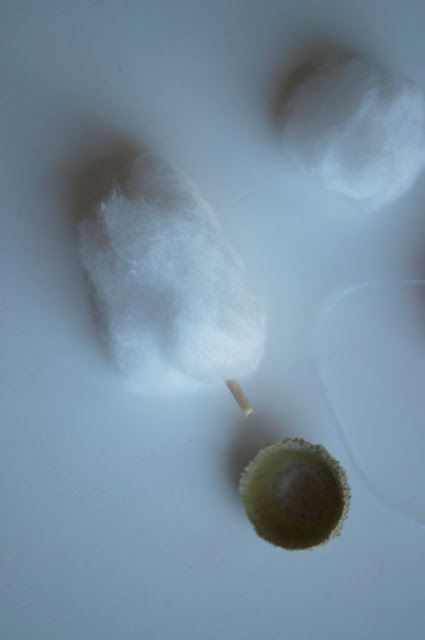 You want the cotton to be semi firm, but squishy at the same time once inside your acorn. 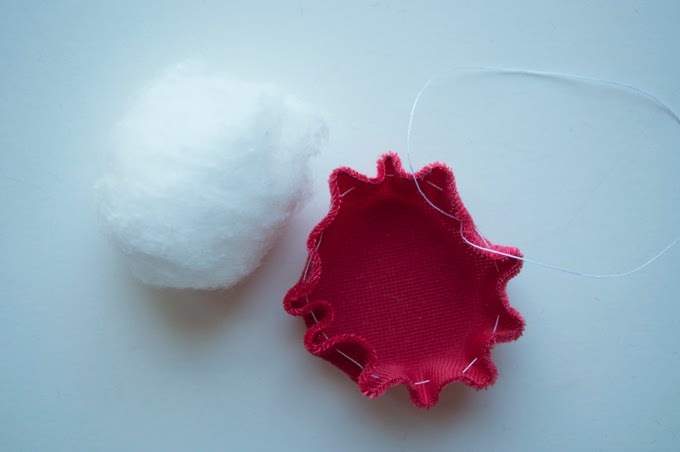 Take a toothpick and wrap the cotton around the pick then draw the ends of your thread together carefully pushing the cotton inside the stitch line. 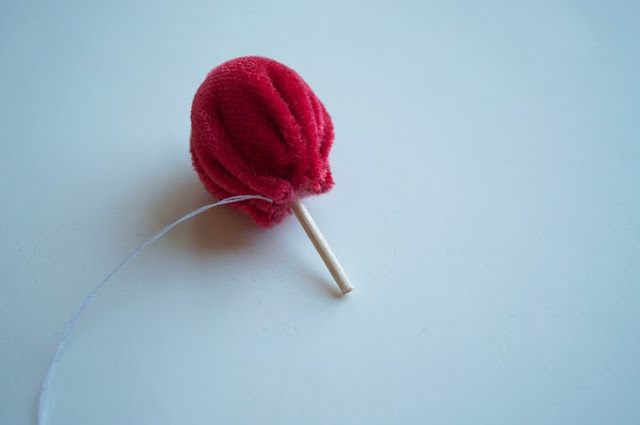 Tie the two ends of your thread together creating a velvet ball with the end of your toothpick sticking out the top. 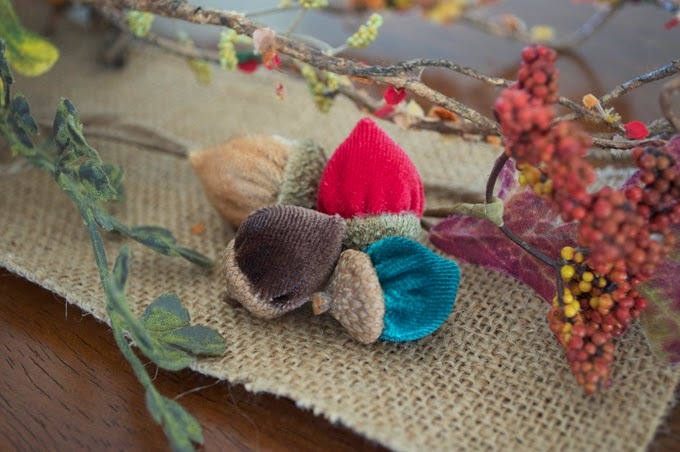 Now this is where you size up your acorn caps to your velvet acorns. 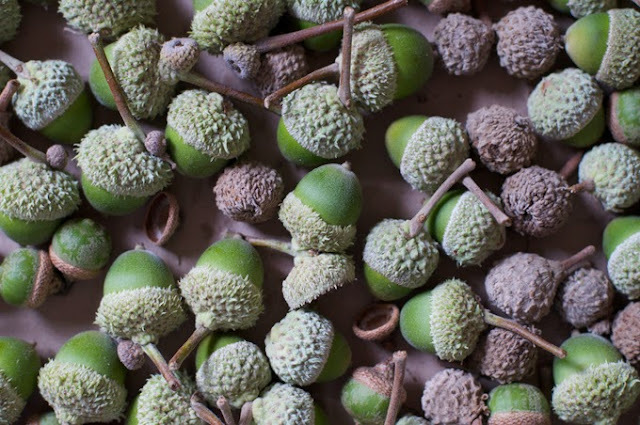 You want the top of the toothpick that is sticking out of the velvet to gently push against the top of the cap to create the little point at the tip of your acorn. You may have to trim the toothpick a little once you have sized the caps up. 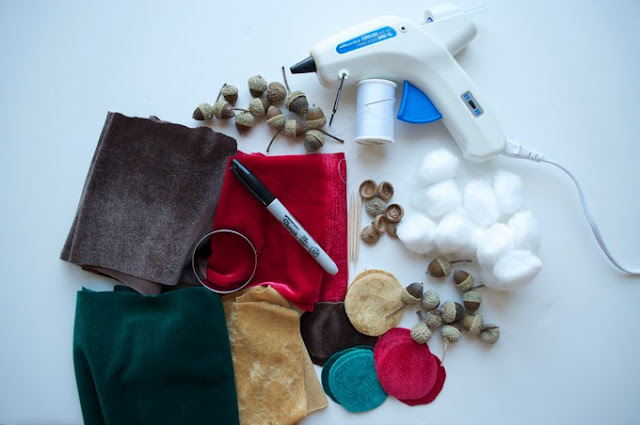 Once they are all ready to glue, fill the acorn cap with enough glue to set and hold the fabric. 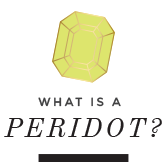 Careful not to get any glue on your finger tips working with such small items. Aren't they darling? I hope you enjoy making them as much as I did.